Campaigners are celebrating the ‘inevitable demise’ of the fur industry after an advert about ‘ethical fur’ was banned for being misleading. The French Board of Advertising Ethics (Jury de déontologie publicitaire, or JDP) ruled against the campaign by the International Fur Federation (IFF). A spokesman for People for the Ethical Treatment of Animals told Totally Vegan Buzz that the JDP concluded it is ‘deceptive to claim that fur can be ethical’. 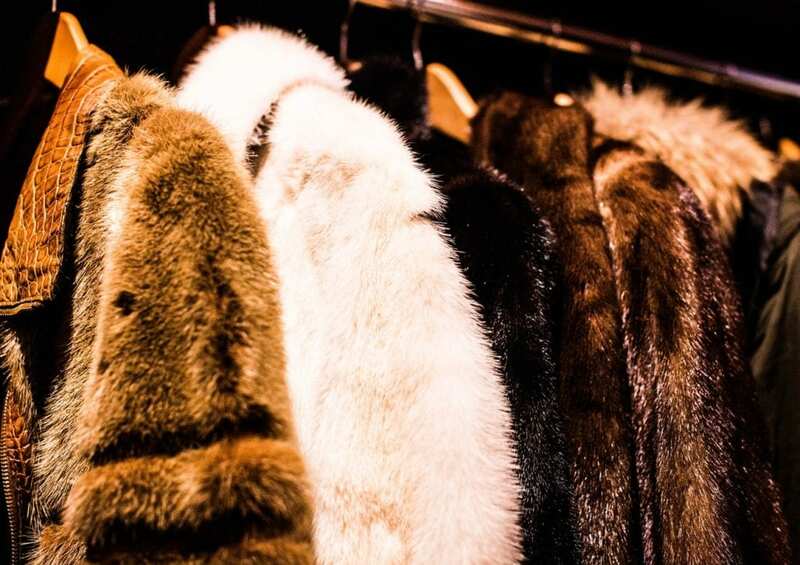 The board also found the IFF’s claims about fur’s supposed eco-friendliness were unsubstantiated, too vague and in violation of the ‘principles of fairness and truthfulness’ set by the International Chamber of Commerce’s advertising codes. According to reports, the JDP also found fault with the IFF’s claim that fur is ‘biodegradable’. PETA France’s Cyril Ernst said: “We’re seeing the last gasps of a dying trade: the International Fur Federation’s misleading campaign is a desperate attempt by the fur industry to delay its inevitable demise, as brands and shoppers increasingly turn their backs on it. PETA France told the Board that 85 percent of fur comes from animals who spend their lives in tiny wire cages on fur farms, before being killed by gassing or electrocution. The animal rights group also noted that fur production relies on both animal agriculture – one of the leading causes of climate change – and chemicals which harm the environment and human health. PETA cited a report showing the production of a mink-fur coat to be ten times as polluting as that of a faux-fur. Another study found high concentrations of toxic and potentially carcinogenic substances in fur samples. Once animals have been slaughtered and skinned, their pelts are treated with a soup of chemicals and dyes. This prevents the fur from rotting in the buyer’s wardrobe but also diminishes its biodegradable properties, according to PETA. Similar ads were banned in Belgium in 2011 – for using the term ‘eco-friendly’ – and in the UK in 2012, when the Advertising Standards Authority ruled claims fur ‘biodegrades’ and is ‘recycled easily’ were misleading. The number of fur-free designers is skyrocketing – Versace, Armani, Gucci, Burberry, and Jean Paul Gaultier all recently banned fur from their collections. What do you think of the decision to ban the campaign? Tell us in the comments section below!